Career guidance and counseling through experts including studying and alumni students from various colleges of national and international repute.Guiding Students as per their choice and making students identify their area of interest in Education for successful Career. We assist students in getting admissions in the best possible colleges and universities in India and around world as par students ability and choosing the best branch possible.Career Plus services had always the prior choice of students and parents as transparent process of systematic admission procedure under the prescribed parameters of the respected college / University is followed.Strictly No donation / No Management Quota rule is being followed by both Indian and foreign students. We assist in organizing educational fairs with major universities and colleges across the country and abroad participating in the event makes students of different regions,states in getting updated about the various course information and colleges. We provide training to the candidate in terms of spoken English and interview skills. 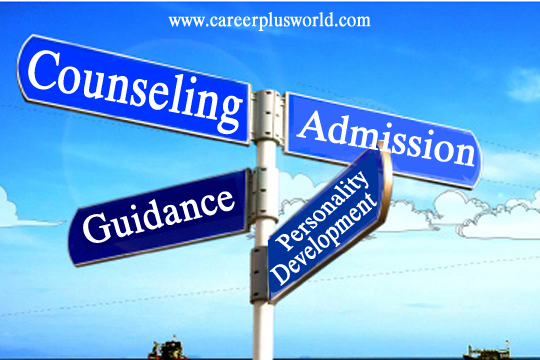 Our unique process of Career Counseling helps students identify their Course of interest by our expert counselors. We inform the candidate about all colleges of Delhi, Pune, Bangalore and Mumbai based on score and academics. We provide Summer Internship Assistance for MBA candidate in top MNC and FMCG companies.